While some people prefer getting their juices made from green leafy vegetables, others want to stick to getting their vitamin C and other nutrients from good old oranges. 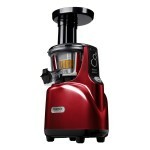 However, given the choice, no one wants to put up with manually squeezing the fruits to get the juice. 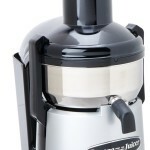 If you’re looking for one of the best commercial-grade juicers that will save you from squirting orange pulp all over, there’s a cold press juicer for that. The XtremepowerUS Lemon Orange Squeezer Commercial Juicer is powerful and high-capacity yet it is still suitable for domestic use. It is made of anti-corrosion materials and is built with a high-quality stainless steel case. 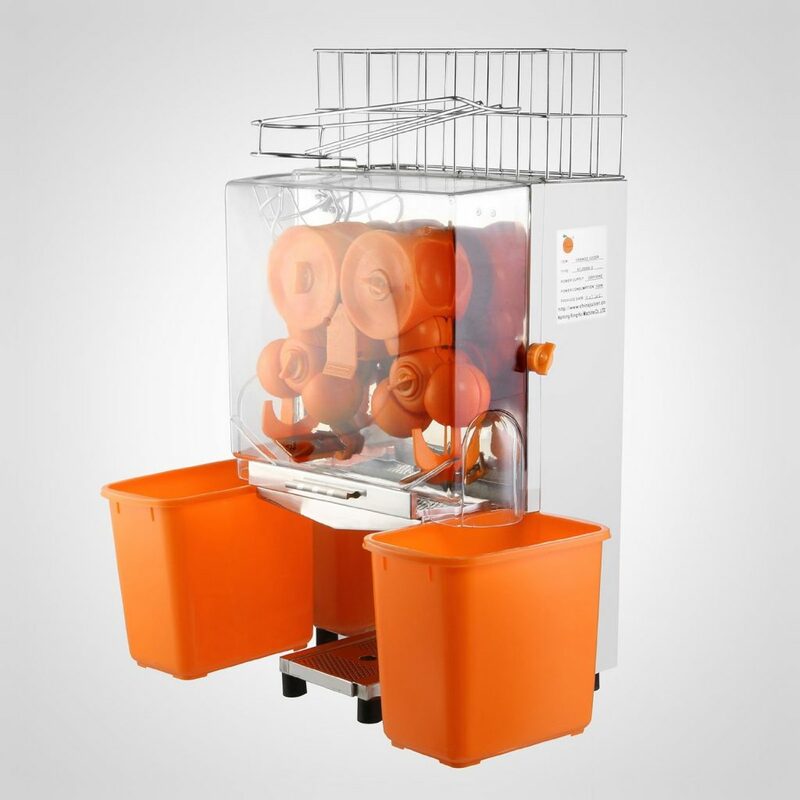 It has an auto feed system for fruits and can squeeze 20-22 oranges per minute. This juicer can handle oranges that are between 1.6-3.6 inches. It can yield up to eight ounces of juice with five oranges. It’s also easy to clean and can easily be stowed away if you have limited counter space. 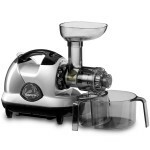 The XtremepowerUS Lemon Orange Squeezer Commercial Juicer is great for homemakers or restaurant owners who love their fresh orange juice. As a highly specialized machine, you’re bound to get the best orange juice within a few minutes. It is lightweight and fast and is easy to use. 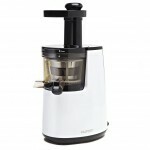 Making orange juice for the family or for customers has never been so convenient. Users commented that it really does squeeze every bit of juice out of the fruits, and that the juice is high quality and flavorful. Given its name, this juicer is only advisable for use on oranges and lemons. One limitation of the XtremepowerUS Lemon Orange Squeezer Commercial Juicer is that it cannot accommodate bigger fruits and produce. Similarly, some users commented that it makes a lot of noise. In addition, some also remarked that the machine has sharp edges and that the blades are larger than the skin of oranges. 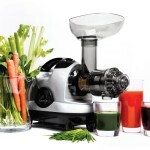 It is also slightly pricier than most other juicers.